The perfect gift for Warbird Enthusiasts! 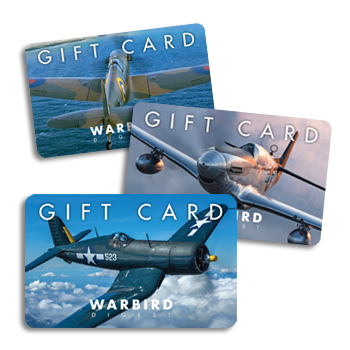 Purchasing store credit through Warbird Digest is an excellent gift for the Warbird Enthusiast in your life. This credit is immediately sent to the recipient and can be used to purchase back issues, articles, or subscriptions.